One thing I have been trying to consciously do in my life is switch to a more natural and green life. It has been a struggle on the most part, I have succeeded in other parts. This past December, I made the plunge and started using a natural deodorant. 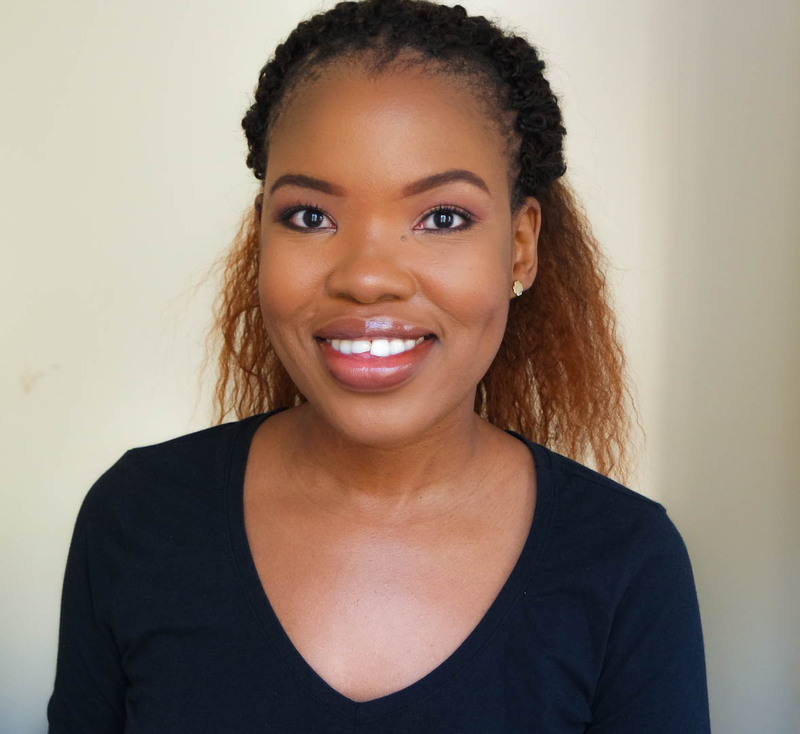 I consulted with blogger friend Dineo from SheerDee and she gave me a few tips on how to transition to using natural deodorant; she has been doing this for the past 6 years! December in Durban might not be the best time to switch up deodorants because of the heat and humidity; you don’t want to be that person walking around with smelly under arms. I actually thought of it the other way – if this natural deodorant could work in December, surely it would’ve passed the test. I started off my transition to natural deodorant by first doing an armpit detox over a weekend. This consisted of not wearing any deodorant for the whole weekend *eek* in between doing the detox. During the weekend detox, my under arms started smelling funky only on Sunday afternoon – it wasn’t too offensive of a smell though *i think*. 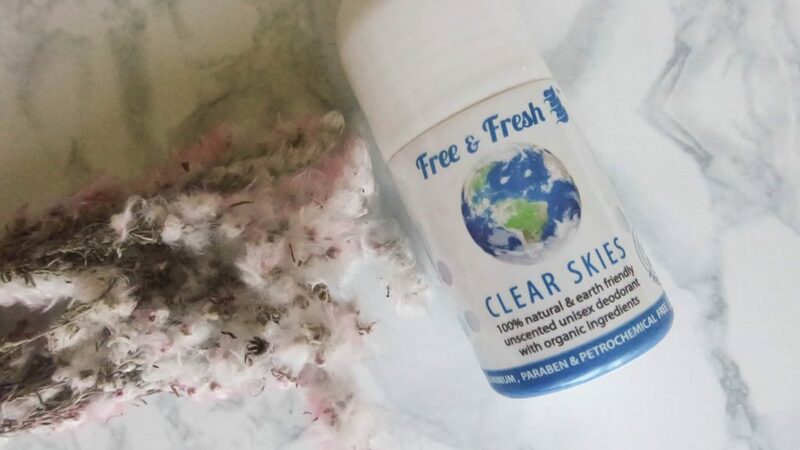 After completing the detox, I started using the Free and Fresh natural deodorant in the variant Clear Skies. This deodorant has the following ingredients: Aqua (Purified water), Sodium Bicarbonate, Aloe Vera, Rosewood, Xanthan Gum, Geraniol, Limonene, Linalool. I like that the ingredient list is not as long as my legs and most of the items on it are familiar to me. The deodorant doesn’t have a strong smell to it at all, I have noticed that the smell has changed in the last few weeks. I am not sure if this is legit or the fact that my hormones are going haywire and I am currently very sensetive to smells. The new smell is a bit stronger, but still not offensive. I had the smoothest transition ever!! I have not felt a single bit unfresh since starting using this deodorant, my underarms have not been sweaty or itchy. I was very surprised about how smooth my transition was, because I had read other people’s testimonials about making the switch and a lot of people have struggled to the point that they eventually return to using the normal deodorant. I have been using the natural deodorant exclusively for 7 weeks now and I can safely say that I don’t see myself going back to using the other stuff. Some of the pros that I have experienced since switching over is that my skin feels moisturised, which is so weird because moisturised under arms is not something I thrived for but I am definitely liking, the amount of ingrown hairs that I get has also drastically reduced! One of the pros that I am waiting for is the lightening of my underarms; I know though that this is going to take a bit more time and I need to be patient. I am very happy about this outcome and having made at least one successful change towards a much greener lifestyle. Have you tried using natural deodorant before? Update – 01 December 2017: I have been using natural deodorant for nearly a year now and I’m still going strong. I did a review after 8 months of use and you can watch that below. I’m interested on switchin to a natural deodrant.Where did u buy yours and how much is it. I bought it at a spa for R70. You can check out health shops in your area, most of them stock natural deodorants. This sounds very interesting Lungi! I also have dark underarms so I’m keen to see what the results are for you. Please keep us updated. Also, why do you need to wait (detox) before using the natural deo? You should! Let me know how it goes. Hey Lungi. Are you still using the natural deodorant and what’s it’s like now 11 months later? Please could you do an update and include pics of your underams if possible. I’ve also read about charcoal but I find it messy so I’ve only tried that method twice. Have you tried any natural remedies to lighten your underarms? Anyway it would be great if you could do update post just to let us know where you are and if you’re still happy. Apologies if you did one already and I missed it. 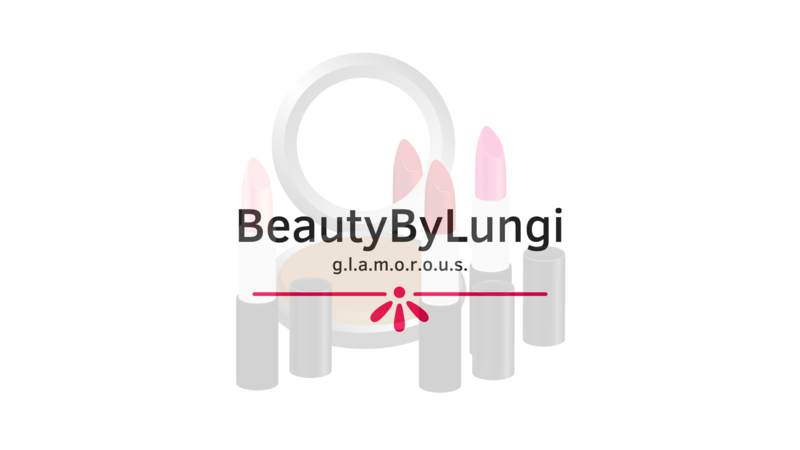 Hi Lungi, thank you for the update and link to YouTube. I watched the vlog. The human body is amazing and I’m glad the deodorant went back to working for you. I’m also so excited about my switch based on your review 🙂 I’m really looking forward to lighter underarms. I’ll be patient and carry on with the lemon and coconut oil. I do notice a slight funk later in the day (late afternoon around 4/5pm) but because I’m at home most of the time it’s not a train smash. I’ve used the natural deodorant twice (I didn’t have time to do the lemon thing and I was going to be among people) and I don’t remember feeling conscious that I need to top up so that’s also good news.